A More Engaged Way To Communicate. Increase in-store conversions & digital ad relevance. Digital campaigns that incorporate Railway technology enhance consumer promotions, shopper marketing efforts, retail activations and omni-channel strategy while optimizing operations and providing physical attribution from digital campaigns. 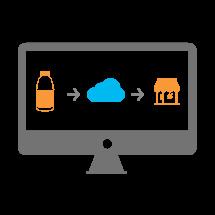 Railway allows you to upload, match and merge identical products across retailers, enabling cross-retailer analysis, and increase foot traffic at retailers that carry your products. The Railway Platform allows you to better understand a user’s journey and deliver them relevant information and offers at the appropriate time during the buying cycle. Railway's analytics enable you to understand which purchases result from location-based communications, closing the loop so you can improve your marketing strategy and increase sales.